By constructing our own CAD / CAM system, we can mill Custom Abutments and metal frameworks at the lab. Our In-House Zirconia for CAD/CAM Restoration. By changing the access hole angle up to 25° lingually, makes it possible to complete as a screw retained for many cases. 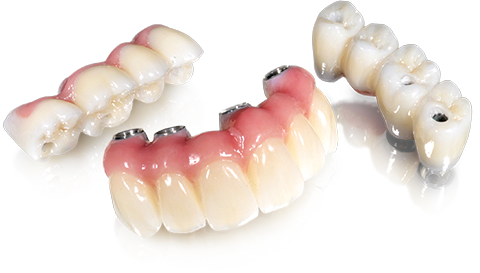 In the field of esthetic dentistry and implant prosthesis, we have the knowledge and skills to meet the needs of every individual case. We have renewed our entire website!